Good Stuff NW: Fava Beans: To Peel, or Not to Peel? 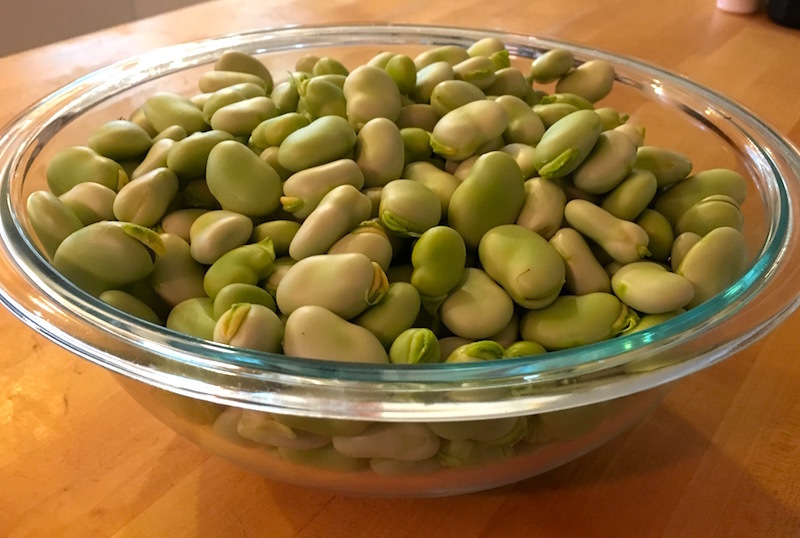 Fava Beans: To Peel, or Not to Peel? Once again, it's confession time. 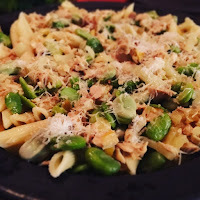 I love fava bean season so much that, at the first sign of the bundles of young green shoots on farmers' market tables in the spring, I get a little giddy thinking of them stir-fried with garlic and tossed with pasta and preserved lemon, or slathered with oil and roasted, served alongside a beautiful grilled, pasture-raised chicken thigh. Then there's the knowledge that in just a couple of weeks, it'll be time for the pods to start appearing, their strange, off-green, blobby exteriors revealing pale green kidney-shaped beans pillowed in a porous white cushion. Young favas in the field, perfect for shoots. That's about when I remember that to prepare these little beany delights, I have to strip them out of their pods, boil them in a salty pot of water, then spend what seems like hours in the tedious task of popping them out of their skins to get a paltry—albeit decidedly delicious—pile of the bright green, shiny jewels. Shucked beans ready to boil and use! But, wonder of wonders, this year my friend Nancy Harmon Jenkins, part-time resident of Italy and author of well-regarded books on Italian cuisine like Cucina del Sol and The Four Seasons of Pasta, saved me (and you) from hours of whinging. "What a waste of time! What a waste of flavor! "Where does this weird practice come from? I suspect from the French professional kitchen where chefs are constantly challenged to come up with new tricks and trucs to keep their enormous brigades de cuisine in operation. In Italy, where restaurant kitchens are run much more economically, no one has to dream up tasks—there are enough to go around and more. Pasta with albacore and favas. "But why do Americans insist on this? Every food writer except one (me) says you have to peel beans. Then they go through elaborate rigmaroles to show you how to do it. No wonder fava beans are not exactly popular despite their magnificent, slightly earthy flavor, so very different from string beans or limas. Every spring or summer I feel like climbing up in the pulpit and shouting: YOU DON’T HAVE TO DO THAT—IN FACT, IT IS COUNTER-PRODUCTIVE!!!" Which, as you might imagine, got my attention. And came in mighty handy when my neighbor called offering a grocery bag full of freshly harvested favas from his garden. Let me tell you, I never relished preparing beans more—just shuck, boil in a pot of salted water for ten minutes and they're ready! Bring a large pot of well-salted water to a boil. Drop in fava beans and cook for ten minutes. Drain and run under very cold water (or ice bath) until cool. Put beans, garlic, fennel, parsley, mint and lemon juice into the bowl of a food processor. Turn on and while its running drizzle in olive oil until puréed. Adjust lemon juice and olive oil and add salt to taste. Serve with slices of rustic bread or crackers, or on toasted slices of baguette (à la bruschetta). In addition to all the prep work, there's "Silence of the Lambs" and the fact that people with favism or who are taking MAOIs need to avoid them. They just seem to be too much trouble! Okay, Anon, I had to look up "favism" and MAOIs. Hopefully anyone who is sensitive would be aware enough to avoid them, but now I'll be sure to call it out at dinner parties. Thanks! Favism is so rare here I don't think you'll even need to:). 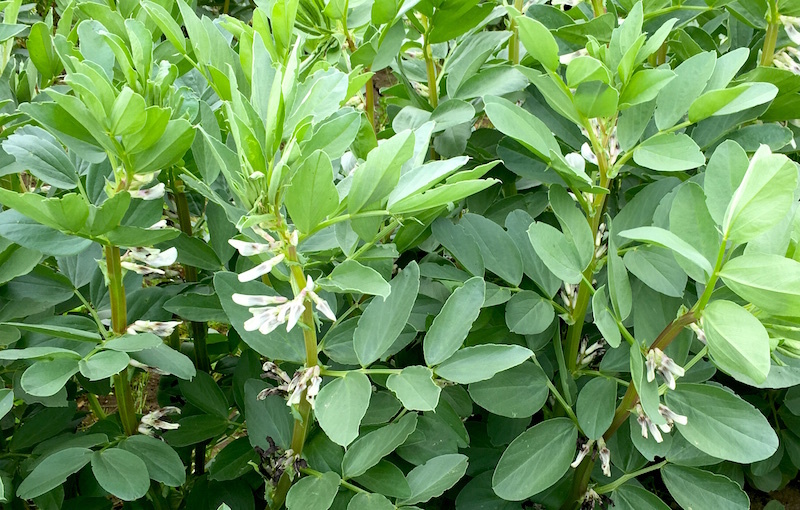 It's prevalent in Sardinia where fava beans were/are a very large part of people's diets and some folks developed the reaction. I’ve been buying the delicious Sweet Loraine dried favas from Lonesome Whistle Farm. After boiling them, I blend them (skins n all!) in the Vita-mix to make soup or dip. So good! Amused to read the Jenkin’s fava revelation. Bear in mind, I have been advocating for using the whole fava a la edamame since Mimi Serafi visited us about 15 years ago. You even posted my suggestion in 2011, though you were not a believer back then as evidenced by the comments. Diana Kennedy also suggests the edamame approach much like Mimi. 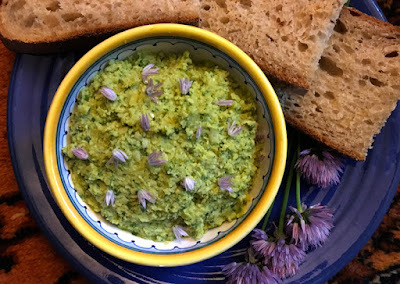 [In cooking] the critical detail is that, in the presence of water, the skins of the fava seeds do increase in bitterness. My hunch is that is an enzymatic reaction because it disappears when the beans are cooked in the absence of water, or when they are dry. By roasting or cooking them in the pod in heavily salted water, you effectively cook them in the absence of water. The use of salt is essential because, through osmosis, moisture will move from inside the pod tissues outward into the salt solution. Osmosis, the movement of water from a lower solute concentration to a higher concentration keeps the water from entering the pod and contacting the seeds. Even when roasting in the oven, I salt the fava pods. This is true for soy as well. Hence the tradition of edamame. Favism is a different matter. Interestingly, the trait that produces favism is an enzyme deficiency associated with malaria resistance. Even the pollen can trigger a problem.